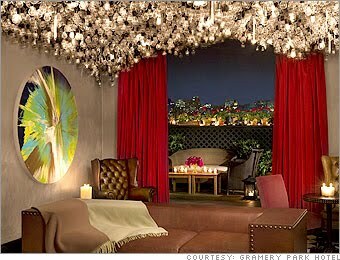 The Gramercy Park Hotel’s Haute Bohemian is a famous luxury hotel located at 2 Lexington Avenue in Manhattan, New York City. According to our specialists, Gramercy Park Hotel is the proper place for a luxury romantic retreat in New York City. The Hotel has been honoured by the renewal transformation of Ian Schrager. 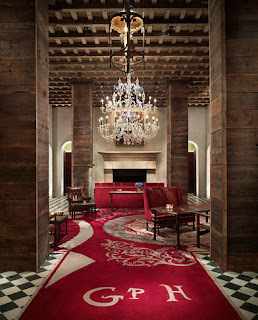 It is still the Gramercy Park Hotel in New York City but just better! 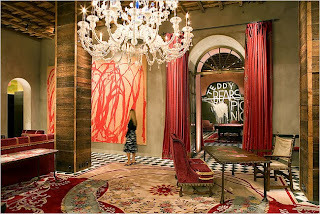 The Haute Bohemian style represents a sensuous vision of artful diversity. Bohemia reinvented for the 21st century with an original combination of styles, with great pieces of furniture and artwork and the fantastic use of colour. It is a balanced atmosphere which only Ian Schrager can imagine and set up, as well as a fresh approach which represents a new departure for him. It brings together a number of creative forces, not chosen for their compatibility, but for their shared commitment to the modern lifestyle. 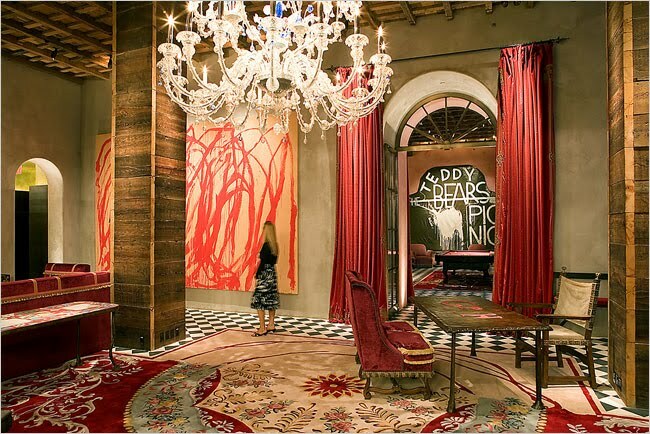 The hotel also exhibits 20th century masterpieces by artists Cy Twombly, Andy Warhol, Jean-Michel Basquiat … More weekend ideas in NYC. Whoa, that looks like it could be one of the nicest hotels in NYC. Looks even fancier than the Tribeca Grand!